The Lokpal Bill was introduced in Lok Sabha on December 22, 2011 and was passed on December 27, 2011. The Bill was then introduced in the Rajya Sabha on December 29, 2011 which was followed by a range of debates in the upper house of the parliament. As a result, it was then passed on December 17, 2013 after making certain amendments to the earlier Bill. The social activist known widely for his 2011 indefinite hunger strike at Jantar Mantar, Anna Hazare, has begun his hunger strike against the prime minister Narendra Modi led government for not fulfilling the assurance of appointment of a Lokpal at the centre and Lokayukta in the state. The anti-corruption crusader had warned the government, on January 28 through a letter, of staging the protest in the form of hunger strike if they do not fulfill his demands. “It has been five years since the Lokpal Act was passed. Yet the Narendra Modi government has not appointed Lokpal.. Lokayukta Act has not been passed for four years,” read the letter from Anna to the state government. Apart from this, he has also demanded the implementation of Swaminathan Commission recommendations which suggest giving farmers the Minimum Support Price (MSP) for their farm commodities. The hunger strike this time is not in the capital city, Delhi, like in 2011, rather, it is in Anna’s native place, Ralegan Siddhi, of Ahmednagar district in Maharashtra. Anna first visited the Padmavati temple and then began his hunger strike near the Yadavbaba Temple in his village. 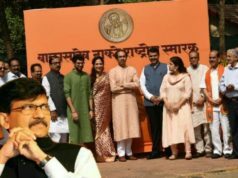 Hazare had sent a letter to the Chief Minister of Maharashtra, Devendra Fadnavis, on January 28, informing him about the launch of his agitation against his government from January 30. 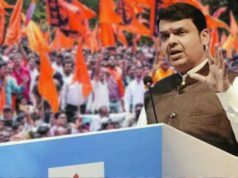 The Devendra Fadnavis led Maharashtra Government had assured the 81-year old Anna, on Tuesday, that the CM’s office will come under jurisdiction of the Lokayuktas Act. Anna has, however, decided to continue this strike till the act is put in place. “I thank them on behalf of the people for taking the decision towards appointment of Lokayukta through a constitutional process. But that does not mean I will not stage hunger strike. The agitation will go on until the act is in place,” Anna had reacted to the Maharashtra government. Anna also said that even though the Government had announced a scheme to provide 1.5 times the MSP to the farmers, it has not been given yet. 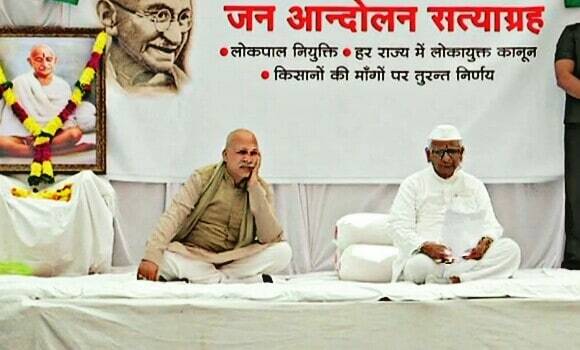 Anna Hazare had announced the commencement of his agitation in the form of hunger strike from December 22 last year. 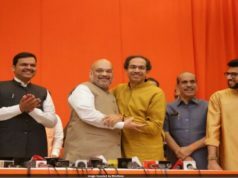 Earlier, he had announced a similar strike to be held from October 2 last year which he withdrew after Maharashtra’s Water Resources Minister, Girish Mahajan, met him on behalf of the Maharashtra government and the centre. Hazare began this series of strikes in the year 2011 when these hunger strikes were held for the passing of the Jan Lokpal Bill. The Lokpal Bill was finally passed in 2013, yet the strikes continue over appointment of the Lokpal and Lokayuktas Act. What is Lokpal and Lokayuktas Act, 2013? 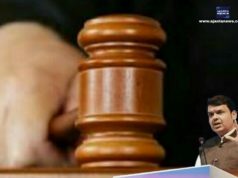 Lokpal and Lokayuktas Act is a bill which provides formation of an institution to house a Lokpal for the centre and Lokayukta for the states to inquire into allegations of corruption on the public servants. 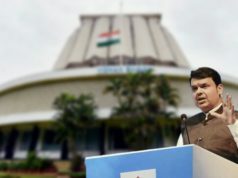 Public servants include Prime Minister, Ministers, MLAs, MPs, Class 1, 2, 3, 4 Officers and officials of central government. Though the Bill was passed in 2013, the government is yet to implement the appointment of a Lokpal at the centre and Lokayukta at the state level. appointed by the Government.